 One of the main reasons Enhanced Wellness Studio stands above and beyond other wellness clinics is by truly working as a team and aligning all our services to optimize the care of every patient. We do not claim to be experts in one condition over another, but feel confident in treating almost anything within the scope of our individual professions. One great example of this team approach is the pre and post-natal care pregnant women have access to at Enhanced Wellness Studio. These services are available individually or combined, but in our opinion, coordinating the services between all of our practitioners provide the optimal care. The female body goes through a long series of changes during and after pregnancy. These changes range from metabolic and biochemical changes to weight and flexibility and most will have a direct or indirect effect on biomechanics. These effects may cause tension, compensations and sometimes injuries to muscles and joints resulting in pain. As a chiropractor, Kenneth is an expert in biomechanics and can help prevent and treat many of these complications – without the use of drugs. Chiropractic treatments during pregnancy are safe and include stretching, strengthening, mobilization and adjustments – all helping the body through the many changes as well as preparing it for delivery and recovery. Furthermore, Kenneth is trained to assess and treat the infant shortly after birth and follow her/his development for optimal care for the weeks, months, years to come. Our Registered Massage Therapist, Angela, has specialized training in Pregnancy Massage, as well as Baby Massage. Whether you are in the pre-pregnancy preparation stage, newly pregnant or nearing the light at the end of the pregnancy tunnel, massage is the perfect way to take the time to focus on yourself and the journey ahead. With pregnancy, the body changes and adapts in ways that are sometimes surprising and uncomfortable. Shoulders tend to roll forward, the low back starts to feel the weight of the growing fetus and hips adapt to help with the shift in center of gravity. Angela can help with the effects of all of these changes by focusing on the muscles affected, while helping you relax. If the pregnant mother is relaxed and comfortable, stress hormones naturally decrease and in turn, the unborn child experiences benefits as well. Once the child is born, Angela is trained to massage the newborn, which is believed to calm the baby, support digestion, and develop improved body and sensory awareness for the baby. More and more research are emerging with strong support of Yoga as a preventive and therapeutic tool against many biomechanical complications. Ariana is our certified Yoga Instructor; through the practices of Yoga, help the expecting mother prepare her body for the changes and stresses of pregnancy. Through gentle and controlled Yoga poses and forms, areas of tightness and tension will be stretched without overloading joints at risk of injury. Muscles that are weak or that need additional strength and endurance during delivery are conditioned for better body awareness and control. During pregnancy the center of gravity moves forward when the belly grows – Yoga can help women feel better balanced, better at activities of daily living, and less at risk of falling. During pregnancy, there is a high demand on the female body to supply all the necessary nutrients to the baby for optimal fetal development and growth. But within the female body there are huge changes in hormonal balance, blood volume, organ function, immunity, milk production, and much more. Add morning sickness to the mix, and maintaining your nutritional status can become a complicated topic. Optimizing a mother’s diet can support these changes. Megan, our Registered Dietitian, can help plan for a healthy dietary approach through the different stages of pregnancy and after delivery. She can assist with healthy weight gain during pregnancy, choosing foods offering a variety of nutrients to support the baby’s growth, and help plan a maintenance strategy for healthy eating once the baby arrives. Good nutrition before, during and after pregnancy can keep you feeling well and energized as you bring a new life into this world. An often-forgotten side of pregnancy are the mental and emotional challenges, not just for the mother, but for the father and other family members alike. During the pregnancy, the vast hormonal changes will often have a profound effect of mood and energy levels for the mother, ranging from times of high energy and euphoria level happiness and excitement, to the lows of constant fatigue, depressed mood and of feeling overwhelmed with the thoughts of the responsibilities of parenthood – not to mention post-partum depression which affects 10-15% of new mothers. Lindsay is our Registered Social Worker, and she can help expecting and new parents work through those mental and emotional challenges. Through individual and/or couple counseling, Lindsay will help sort out those new emotions and thoughts. She will provide tools for the parents to handle those challenges in a healthy and lasting way and follow the expanding family towards settling in to the new reality of being a parent. Once the pregnancy test is positive the countdown to parenthood has started. With that expecting parents can feel overwhelmed and stressed under the pressure of being ready to receive their baby. Once the baby is born a new stress for the parents can be how to divide the many tasks of caring for the infant and each other. Life Coaching is an exceptional service that can be used to break down a daunting project into smaller and more manageable tasks. This is exactly what Ariana can help achieve as Enhanced Wellness Studio’s Life Coach. Through working with Ariana, parents will be able to create a plan for anything and everything that need to fall into place before and after the little one arrives.